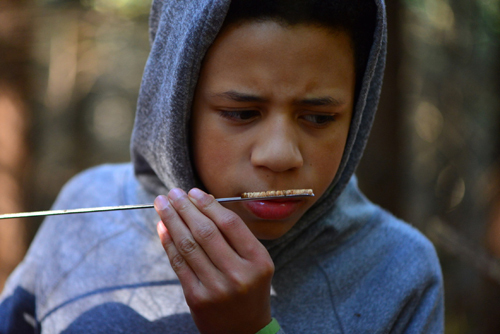 Courtesy of the Mount Rainier Institute A middle school student from Tacoma smells a tree core sample immediately after being removed from the increment bore. 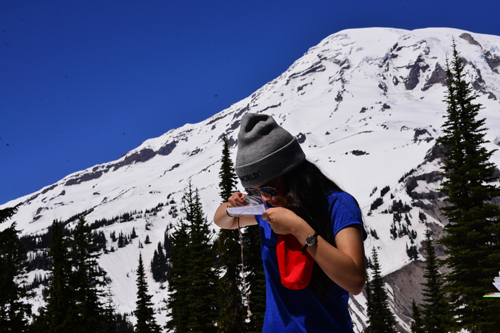 Mount Rainier Institute is a popular, fun way to get schoolkids outside and learning about the environment. It also just so happens to be a recipient of state grant funds.